I always find this intrinsic urge to help others realise the greatness of life when my own cup is full. The funny thing is that the urge to volunteer at a local nursing home, actually came when my cup was completely empty. I guess when I felt I had nothing left to give, I discovered that in fact I still did. I often sit down for cups of tea and listen to the many joys and struggles of those nearing the end of their lives. In the struggles, the gold always seems to be in the ability to keep picking yourself up, dusting yourself off and never losing sight of your true essence. The ones that speak more of their joys over their struggles, are also the ones that never miss a bingo class, dance class or yoga for over 90’s. They have found a way to maintain a solid outlook on life. Even when their mind starts to fade against their own will or knowledge. I still see that spark in their eyes and cheeky smiles as they play pranks in the dining room with the other residents. They make the most of what they have and are entirely satisfied with their daily rituals they have created, within the physical limitations of their fading bodies. I listen on as they ecstatically describe in great detail the type of toast and brand of butter they have for breakfast, what time the daily paper arrives and when the nursing home bus is due for their supermarket outing. I ask whether they butter the toast right to the very edges. Their excitement builds as I fabricate my interest for gains of their happiness. I love to play this little game the most. 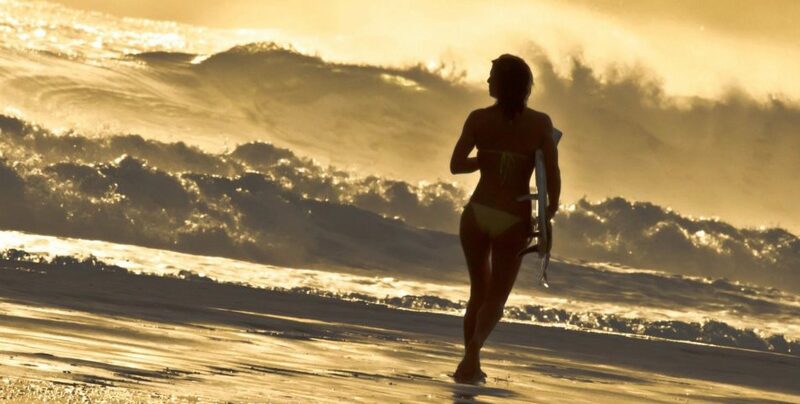 It’s selfless because many people would rather be out surfing, catching up with friends or enjoying the sunshine. A lot of the time that’s me and I really have to push myself to go in there. But it’s when those I visit are lying on their beds rugged up watching daytime TV and I knock on their doors to see their faces light up. When the old men in dance class fight over who’s dancing with me next, while the only two elderly women in the home watch on with daggers, as if I’m cutting their grass. When I distract them from a topic that upsets them and start talking about how beautiful the last sunset was and watch their smile return once more. But it’s when I leave that I feel it the most. Not only does it put everything into perspective. The true shortness of life and what is to be held dearest to the heart. But I know that when they put their heads down at night, they will be recalling all the events that made up their day. They will be content in knowing that someone cares for them enough to spend time over a cup of tea. One women I have regularly spent time with over the years, believes that my being there must be the angels watching her and karma returning to her, for all the good deeds she carried out over her lifetime. That’s what continues to make my heart sing. “I think about you a lot, come and visit again soon won’t you?” she said upon my departure, as I received a warm hug and kiss on the cheek.